Welcome to the Department of Religion! Religion is one of the most powerful forces in society—from ancient times to today, religious beliefs, practices, texts and traditions have played a formative role in nearly every aspect of human life. Politics, economics, literature and great works of art have long been inspired by religion—perhaps today even more so than in antiquity. And yet, how much do you really know about religion and its many forms and cultural expressions? Courses in our department explore the study of religion from intercultural, comparative and multidisciplinary perspectives. As scholars of religion, faculty members in our department feel strongly that religious literacy is essential knowledge for the exercise of informed local, national and global citizenship in an increasingly complicated world. Whether you think of religion as an expression of ultimate meaning, a binding social force, a physiological impulse or a set of beliefs and practices, courses in our department will challenge your presuppositions and help you think critically. If you are just getting started and want to learn the basics, What Is Religion? provides an overview of world religions and of the scholarly methods used to study them. Or, if you are curious about a particular religious tradition, consider taking Hinduism, Islam, or another of our tradition-focused courses. Courses like Religion and Modern Culture or Religious Conflict, Violence & Peacemaking will give you an opportunity to think about religion in its various contemporary cultural and social contexts. And if you have ever wondered how scholars approach classical religious texts, Hebrew Scriptures in Context, New Testament in Context and Dead Sea Scrolls are courses that will give you a whole new perspective on the biblical traditions. One of the fun things about religion courses, is that you learn to see religion in some unexpected places. In Spiritual Dimensions of Healing, you’ll also get to study Chinese medicine, and in Religion and Fantasy, you’ll come to understand Harry Potter in a whole new way. And, if you’re interested in how religion intersects with sustainability, check out one of our courses in Environmental Ethics. If you’re still not sure that the academic study of religion is for you, feel free to visit us on the second floor of East College. We welcome your questions and your curiosity! 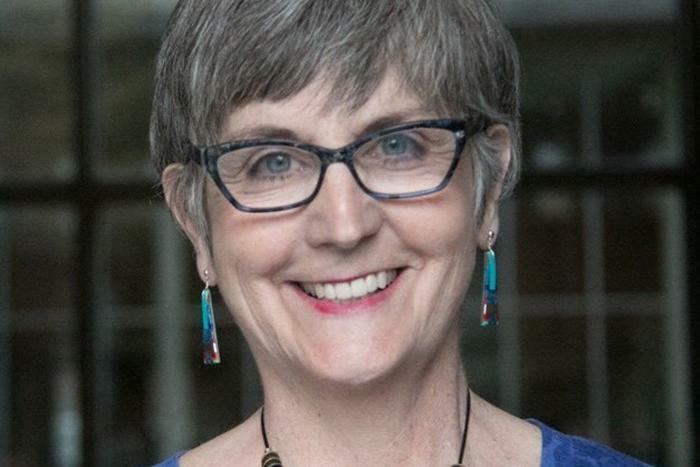 Founding Director of the Center for Spirituality in Nature Beth Norcross will deliver the annual Wesley Lecture at Dickinson, “Church of the Wild: A New and Old Way of Experiencing Spirituality."